Carlos Funes studied violin making in Cremona at the violin making school graduating in 1983 and worked in Cremona for a period before returning to San Francisco. Even after many years away from Italy, his instruments show many of the characteristics of the Cremona makers. 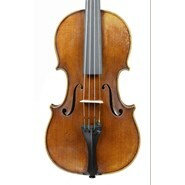 This violin has a virtuosic brilliance, wonderful for a professional orchestra musician. 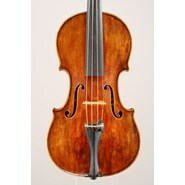 The label indicates that this violin was made by R.Antoniazzi for The Monzino workshop. It was certified by Dario D’Attili as the work of Constantino Celani. A native of Ireland, Lindsay established as a maker in England from about 1860 until the beginning of the 20th century. He won awards for his instruments including a medal at the Liverpool exhibition in 1886. 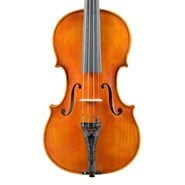 This violin has an excellent, rich and clear tone. Rossi graduated from the Parma school headed by Scrollevezza and has also studied with Greg Alf, Guy Rabut and Carlos Arcieri in New York before opening his own workshop. We have just received this violin and were immediately impressed with the beauty and elegance of the workmanship as well as the tone. Brothers Roger and Max Millant were among the most respected European makers of their generation. Beginning their studies with their prize winning grandfather Sebastien-August Deroux, they continued their studies with Mougenot in Mirecourt and with Dykes in London. After establishing their own shop in Paris in 1930- shortly before turning 30- they quickly developed fame for constructing instruments of robust tone and elegant craftsmanship. During the course of their career, they won prizes in Cremona, The Hague, and Liege, among others. 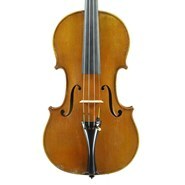 This violin is a classic examples of their work. 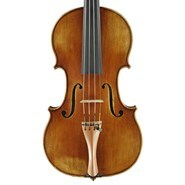 Made in 1953 on their own model, it is easy to play and has a nuanced, rich tone with characteristic power. After World War I, violin making in Markneukirchen started focusing on higher quality “Art Violins” rather than less expensive student work. 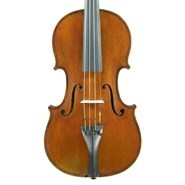 This violin is an excellent example of these fine instruments. Albin Paulus studied with Dölling and established independently while still in his 20s and continued until 1946. 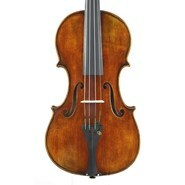 Tonally, this violin is powerful, brilliant and responsive. Branded "A La Ville de Cremonne, D. Nicolas Aine", these instruments, based on a unique, wide pattern, were produced by two generations of the Nicolas family in Mirecourt, France for much of the 1800s. The model and brand were continued by Justin Derazey and then by Laberte and Magnie into the 20th century. 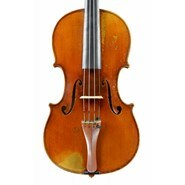 This instrument, made in the latter half of the 19th century, has a robust and clear tone, typical for these instruments.